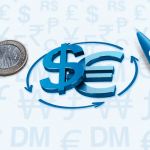 When you need to receive an international wire transfer from another country, put your trust in Continental Currency Exchange and receive your foreign currency for less. For over 28 years Continental has helped you receive your foreign currency with better rates and less hassle. With fast transactions, reimbursement for outgoing fees from other institutions, and better rates of exchange than your bank, Continental makes it easy to save money. With 19 convenient locations across Ontario, you can send and receive an international wire transfer wherever (and whenever) suits you best! Why Choose Continental for your international wire transfer? Continental is the safe, affordable option to help you send and receive your money from almost anywhere in the world. Here are just a few reasons why we should be your first and only stop when it comes to incoming money transfers. With incoming wires you’ll always receive Continental’s guaranteed great exchange rates with no hidden bank fees and no commission! Our knowledgeable and well trained FXperts (foreign exchange experts) across all 19 of our branches are on hand to help you get your money quickly and hassle free. Open 7 days a week, and extended hours at all of our branches, you can send and receive your money whenever it is convenient for you! Continental has partners in over 70 countries around the world! No matter where your money is coming from, we’re here to help make sure you get it. Fast, safe, and reliable, all while saving you more money. We consistently work hard to ensure your money is received and transferred to your nearest branch, or wired directly back to your bank account in as little as 48 hours. 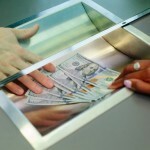 We recognize that wires are the preferred method for transferring large sums of money internationally. Unfortunately, sending an international wire through a bank or another foreign exchange business can often be expensive, charging you large fees and unfavourable exchange rates. That’s why Continental is proud to offer our clients reimbursements on money transfer fees imposed by other financial institutions. Best rates and we reimburse fees? Stop wasting your money and save today! Receiving your international wire transfer from Continental is incredibly simple. Get started by 1) collecting your receiving account info and 2) government issued identification, then 3) contact your nearest branch. Next time you need to receive money from anywhere in the world, make sure you do it through Continental! With our global network, expert staff, low prices, and great exchange rates – there’s never been an easier way to save money on EFT’s, remittances, or wires. Visit Continental for all your money transfers and wires today! Continental is here to help, no matter where life takes you! Ask us how you can save on your wires today! Contact your nearest branch HERE. Learn more about sending money transfers and wires HERE and check out our ‘10 on 10’ promotion HERE. Looking to buy some currency of your own? Get started with FXtoGO or learn more HERE and HERE.